Brick Formations is a company that takes LEGO pieces and somehow manages to put them together and sell them as licensed products, with LEGO having nothing to do with it. It’s a weird place to be in, so it’s nice to see their first products are official, Gearbox-sanctioned Homeworld sets. There are currently sets based on the original games, while there are also some planned on Deserts of Kharak as well. The sets are releasing in small numbers and, uh, are wildly expensive. 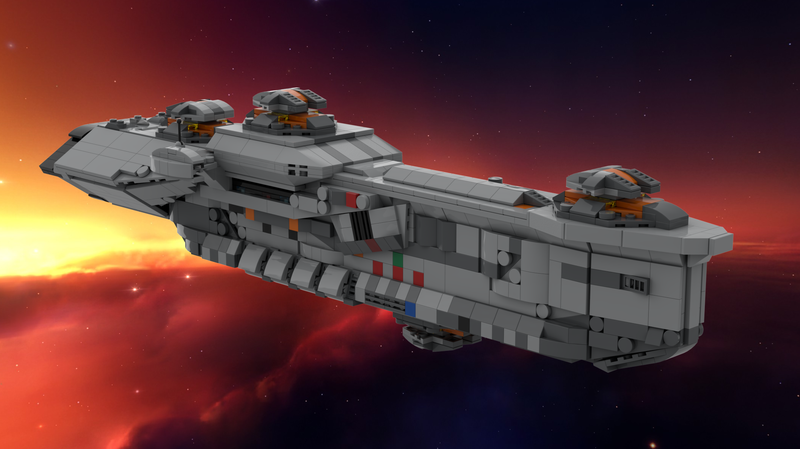 The 500-brick Hiigaran Interceptor, for example, is selling for $250, while the larger Destroyer is $575. I love Homeworld as much as the next Homeworld lover, but boy, that’s a lot of money for some LEGO. You can check out the sets here.